Pirates, saucy sea maidens and scallywags await at “Murder Amongst The Mateys,” a murder mystery cocktail party to benefit the Housatonic Museum of Art. 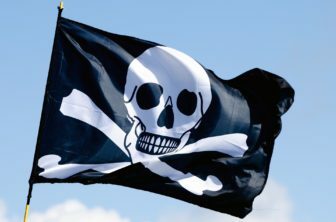 Come to “Murder Amongst The Mateys,” a murder mystery cocktail party benefitting the Housatonic Museum of Art. Friday, Sept. 29 at Uncle Buck\’s Fish Bowl and Grill at Bass Pro Shop. Tickets on sale now. Guests will enjoy pirates, music, and plenty of rum, as well as a chance to purchase keys to treasure chests filled with plunder. One guest will end up in Davy Jones’ Locker, leaving the remaining partygoers to solve the mystery and decide who will walk the plank. The evening includes ice-cold rum inspired cocktails, pirate-themed hor d’oeuvres and a signature drink, Mermaid’s Kiss, created by Uncle Buck’s. Guests will enjoy mingling with other buccaneers and solving the whodunit mystery. Held on Friday, Sept. 29 from 7:30 to 10 p.m. at Uncle Buck’s Fish Bowl and Grill at Bass Pro Shop. Tickets are on sale now and cost $50 per person. This event is expected to sell out, with more than 150 revelers attending. For tickets, visit www.HousatonicMuseum.org or call (203) 332-5052. Guests will have a chance to purchase the keys to two treasures chests filled with plunder as well as raffle for a “Trunk of Grog and Spirits.” The revelry takes place at Uncle Buck’s Fish Bowl and Grill at the Bass Pro Shops, located at 1 Bass Pro Drive in Bridgeport. The museum would like to thank the committee of dedicated community volunteers and the generous sponsors who are making this evening possible, in part, by Phoenix Realty and Chemwerth Inc. The first thing you should know is that (1) this is more fun than a written description can relay. If you do this, you will remember for the rest of your life just how beautiful Connecticut is, especially when you leave the highway.